Hostile Aggressive Parenting or HAP is a serious form of child maltreatment and abuse, and is encountered in most high conflict child-custody disputes and is often used as a tool to align the child with one parent during litigation. all children deserve to love, and not have to hide their love. This site is dedicated to the children who are suffering under the hands of HAP parents. We strive to educate the public about this growing problem in hopes of getting help to the HAP parent, and to the suffering kids. HAP parents may not realize they have HAP. It's up to friends, family & the community to educate them and encourage them to seek help. Do you think you or anyone you know is suffering from HAP? Complete our questionaire to find out. Children should be allowed to love both parents, and feel loved by both parents. It is of utmost importance for both parents to encourage a relationship between the kids and the other parent. Standing together as parents is important in a marriage, but ironically, it is even more important in cases of divorce, separation or turmoil, and is a sign of great parenting! • badmouth a parent in front of the children and at every opportunity? • not answer the phone when the other parent calls? • convince the child that they should change their surname? • play on the children's feelings of guilt and sympathy? • use the child as a weapon against the other parent and family members? • order or manipulate the child to not answer the phone when it rings? • say that the child does not want to speak for to the other parent? 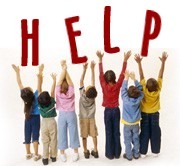 Help us spread the word about HAP and get help to the kids who are suffering. all monies will go towards maintaining this site and spreading the word about HAP, through internet, print, radio and any other means we can.